Shepard Greene is 50-unit affordable senior community in Zebulon, NC. 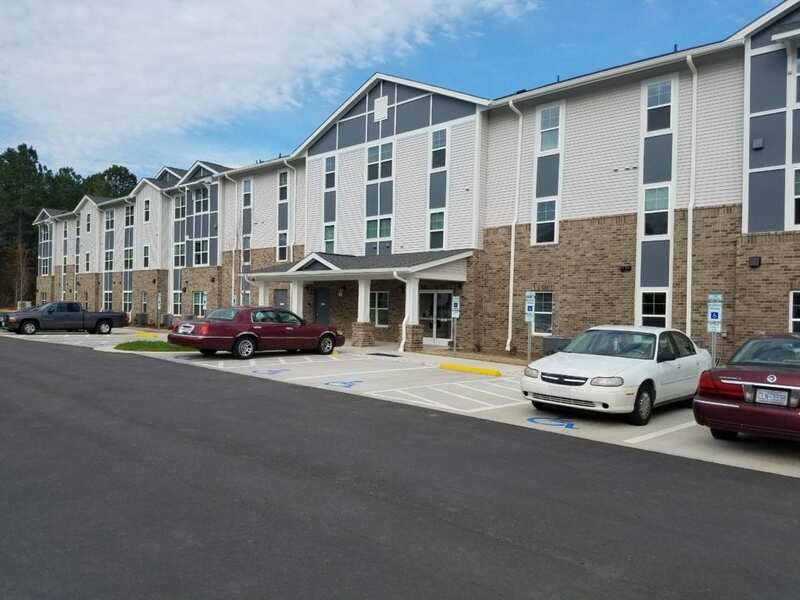 April 12, 2019, COLUMBUS, OH…A new affordable senior housing community is now open in Zebulon, NC, where housing prices are quickly rising and many moderate and lower income residents, especially seniors, have had difficulty finding affordable solutions. 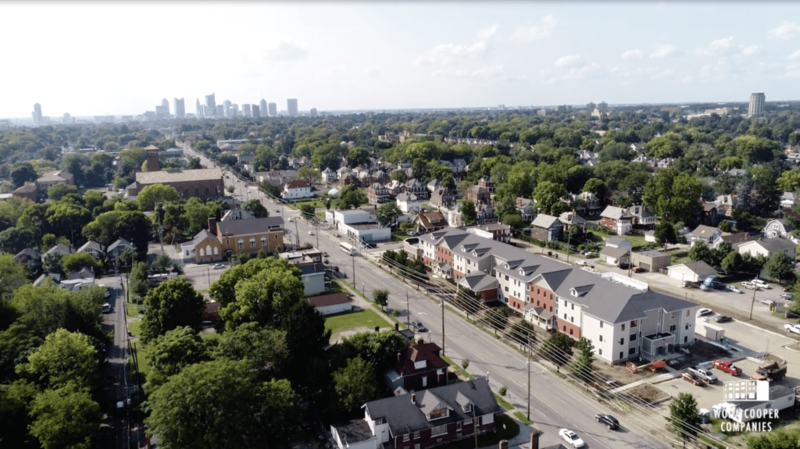 Shepard Greene is a 50-unit apartment community with age-in-place features and energy-efficient apartments for residents aged 55 years and older who are at 60% area median income or less. Shepard Greene offers 18 one-bedroom and 32 two-bedroom stylish apartments with bright, open concept living spaces, high quality finishes, fully-equipped kitchens with EnergyStar appliances including dishwashers, closets with washer-dryer hook-ups, and individually controlled heating and air conditioning. All units have emergency alert systems and six units are available with ADA features, such as roll-in showers. Two units are designed for those with hearing/sight impairments. The three-story building has many community amenities including several sitting areas, a large multipurpose room with kitchenette, central laundry, fitness center, computer room, and management office. “The apartments and amenities are designed to enable senior residents like Mildred and Elizabeth to remain active and independent in their own homes for years to come,” said Denis Blackburne, Woda Cooper’s Senior Vice President. EnergyStar 2.0 certification standards were incorporated into Shepard Greene which indicates its high level of energy efficiency. “Residents will pay low monthly utility bills which means more of their household income is available for other daily living expenses,” Blackburne said. Located at 626 Shepard School Road, Shepard Greene is just a half mile from downtown Zebulon and convenient to shopping, restaurants, cultural activities, medical, and public offices. An onsite manager oversees leasing, property maintenance, and is available to assist residents in accessing transportation, meals-on-wheels, and other senior resources and activities. Shepard Greene was made possible in part through housing tax credits allocated by the North Carolina Housing Finance Agency. Bank of America Merrill Lynch was equity investor for the tax credits and also provided construction financing. A USDA Rural Development 538 loan was facilitated by Bellwether Enterprise. “Shepard Greene is a perfect example of using our resources to provide housing for those who may not have otherwise had these types of options,” said NC Housing Finance Agency’s Executive Director Scott Farmer. Cheryl Cooper, Woda Cooper Companies, Inc.
Woda Cooper Companies, Inc. and its affiliates are experienced developers, general contractors, and property managers specializing in the design, construction, and management of affordable multi-family apartments, senior communities, and single-family homes. Considered leading experts in the affordable housing industry, the Woda Cooper team is known for producing and maintaining high quality affordable housing. Affordable Housing Finance ranked the firm 13th overall among Developers and 26th overall among Owners in its April/May 2019 issue. Woda Cooper Companies, Inc. has developed and currently manages more than 300 communities and 12,000 units, operating in 15 states. In addition to its Columbus headquarters, the firm has offices in Savannah, Georgia; Indianapolis, Indiana; Shelbyville, Kentucky; Annapolis, Maryland; Mackinaw City, Michigan; Charlotte, North Carolina; and Norfolk, Virginia. For more information, call (614) 396-3200 or visit www.wodagroup.com. Photo courtesy NC Housing Finance Agency. From left: C. Freddie Persinger (Woda Construction, Inc.); John Householder (Office of US Senator Thom Tillis); Scott Farmer (Executive Director, North Carolina Housing Finance Agency); Betty Jo Shepheard (Office of US Senator Richard Burr); Cheryl Cooper (Woda Cooper Companies); Denis Blackburne (Woda Cooper Companies); Annie Moore (Town of Zebulon Commissioner); Nicole Baldon (Bank of America Merrill Lynch); Zebulon Mayor Bob Matheny (holding scissors), Minister Sidney Brown (Resident); Jannett Brown (Resident); Representative Darren Jackson (North Carolina House of Representatives); Denise Nowell (Zebulon Chamber of Commerce); Joe Moore (Town of Zebulon Manager); Mildred Johnson (Resident); Elizabeth Long (Resident, seated); Linda McNeil (Resident); and architect Becky Bascom (TightLines Designs).